Dietrichite: Mineral information, data and localities. White, Brownish-yellow; Off-white; colourless in transmitted light. 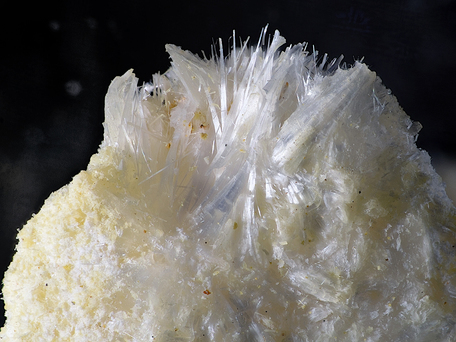 Named in 1878 by Baron Julius von Schröckinger in honor of Dr. Gustav Heinrich Dietrich of Příbram, Czech Republic, who analyzed the first specimens of the mineral. 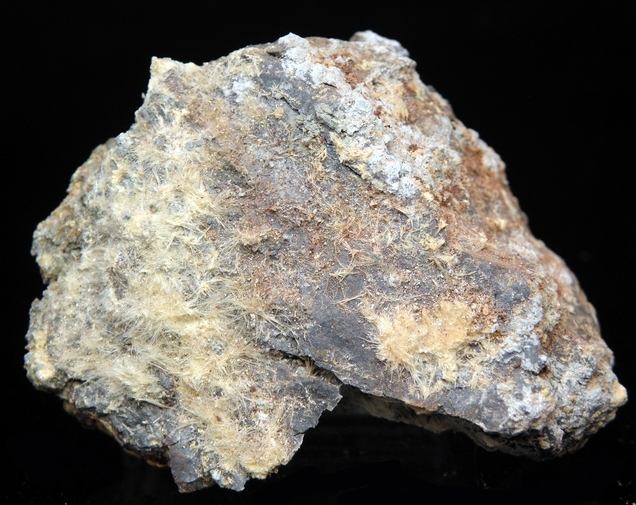 Halotrichite Group Found as bright white fibrous efflorescences. Usually a product of surface weathering. Fine-fibrous, tufted aggregates as incrustations and efflorescences. Royal Ontario Museum, Toronto, Canada, M7078. von Schröckinger, J. (Freiherr) (1878) Dietrichit, ein neuer Alaun aus Ungarn. Verhandl. Geol. Bundesanst. Wien, 189-191.
von Schröckinger, J. (Freiherr) (1878) Dietrichit, ein neuer Alaun aus Ungarn. Verhandlungen der Kaiserlich-Königlichen Geologischen Reichsanstalt Wien: 189-191. Palache, C., Berman, H., and Frondel, C. (1951) The System of Mineralogy of James Dwight Dana and Edward Salisbury Dana, Yale University 1837-1892, Volume II. John Wiley and Sons, Inc., New York, 7th edition, revised and enlarged, 1124 pp. : 528-529. Canadian Mineralogist (1998) 36: 1373. Ballirano, P., Bellatreccia, F., Grubessi, O. 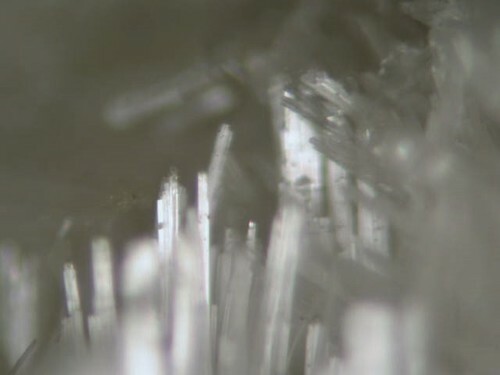 (2003) New crystal-chemical and structural data of dietrichite, ideally ZnAl2(SO4)4·22H2O, a member of the halotrichite group. European Journal of Mineralogy: 15: 1043-1049. Kolitsch, U., Rieck, B., Brandstätter, F., Schreiber, F., Fabritz, K., Blaß, G., Gröbner, J. (2014) Neufunde aus dem alten Bergbau und den Schlacken von Lavrion (I). Mineralien Welt: 1: 60-75.